Killers dominate the multiplexes, while subtler fare highlights independent releases in Utah theaters this week. 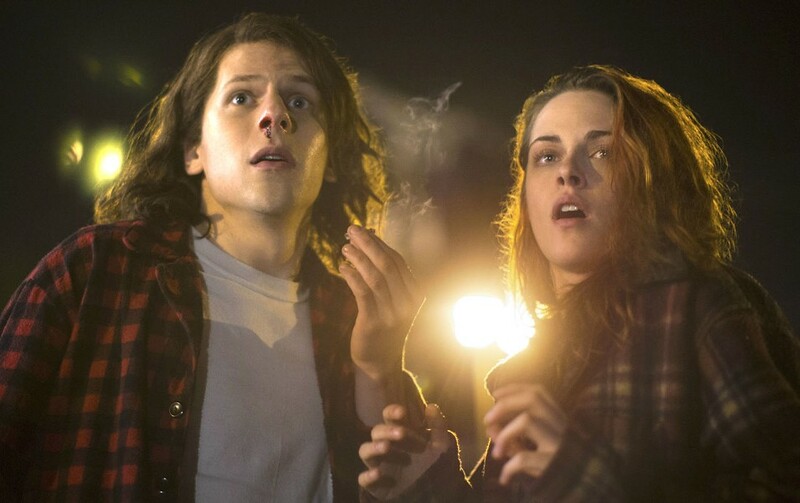 American Ultra (pictured) casts Jesse Eisenberg as a stoner who doesn't remember that he's a highly-trained CIA sleeper agent, in a frantic movie that's certainly unique but tries too hard for a midnight cult-film vibe. Hitman: Agent 47 returns to the video-game based world of the emotionless genetically-engineered assassin in a monotonous attempt to recreate the Eurotrash action sensibility of a Luc Besson production. The most fascinating clash comes in the documentary Best of Enemies, about the paradigm-shifting on-air "debates" between Gore Vidal and William F. Buckley during the 1968 Republican and Democrat National Conventions. Eric D. Snider finds Sinister 2 somehow both tamer and nastier than the creepy original. In this week's feature review, The End of the Tour—based on interviews between journalist David Lipsky and author David Foster Wallace—is a great character piece until it collides with the question of what a fact-based drama owes to its real-life subjects. Not reviewed this week—but featuring Don Hertzfeldt's remarkable World of Tomorrow, and therefore likely worth any ticket price—is a program of short films from the 2015 Sundance Film Festival.